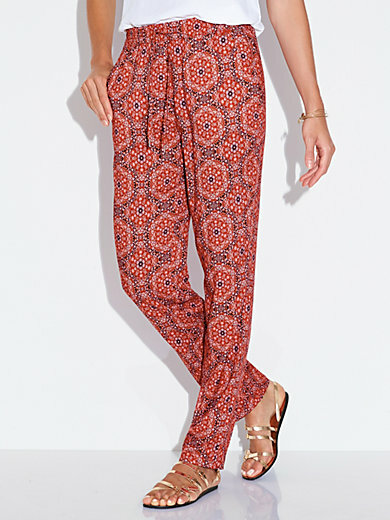 Pull-on trousers by RELAXED by TONI with ornamental print, making every pair of trousers unique. Elasticated waistband with decorative tie bands and 2 pockets on the front. 100% viscose. Inside leg length approx. 31ins. Ankle width approx. 13ins. The pull-on trousers are machine washable.